Details: Once you have all necessary codes, just scroll down to ‘Pro Solutions’ then ‘Travel Professionals’. From here, you can make your booking and take advantage of the savings. Ease Of Use: Once you’ve got everything in place, it’s very straightforward. With 4,100 hotels spanning 91 countries and five continents, Accor’s Hotel ranges offer a vast array of standards and styles. In short, there is an Accor Hotel to suit every type of trip and purpose for travel. The sheer volume of hotels and range of options mean that the travel industry discounts available are hugely beneficial to people in our trade. We have found that savings of around 30% are possible and there seems to be a far greater availability of discounted rooms than is the case with other leading chains. It is even possible to get discounted rates on family-friendly European hotels where you can get a family of four in the same room (anyone who has tried finding a family friendly hotel in Rome will understand why this is important!). The Suite Novotel and Adagio ranges are the ones to look out for if searching for these family deals. Registering for the discounts takes a little time – we talk you through the process below – but once that’s done the booking is straightforward. 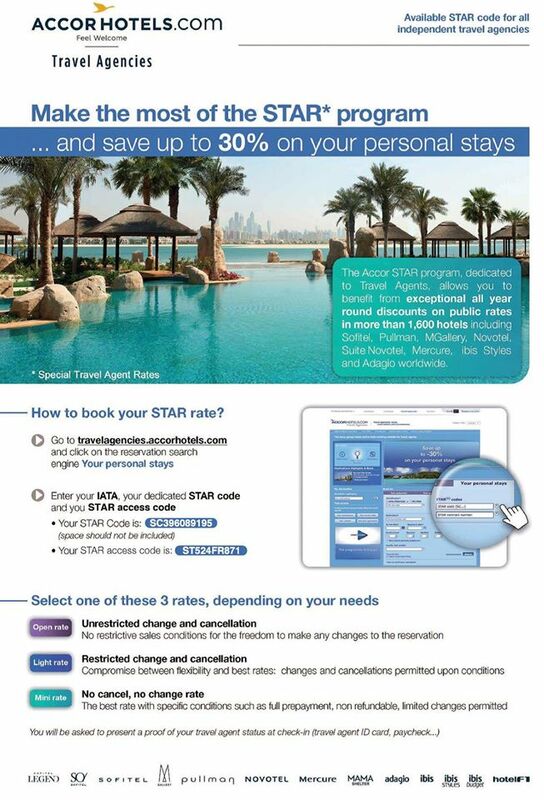 To be eligible for discounted Accor Hotel rates you need a STAR (Special Travel Agency Rates) code, fortunately to get one you only need to fill out a simple form online. You will need to enter either your IATA/TIDS or RT code. Of the abbreviations, if you only recognise ‘IATA’ and have your own – great. If you’re not IATA, you can apply for an ‘RT’ code – click on ‘Your Access Codes’ to download a straight-forward application form which have your contact details on. Eligibility: You will need to have a valid IATA/TIDS/CLIA/TRUE/RT code and also have proof of travel industry status at check in. London is a difficult place to get really good hotels, but here are two great options. As it says in the headline! These are not exclusive for Travel Industry staff, but can often be the cheapest with locations throughout London. Book by: 11th October for stays 01st November to 31st January. 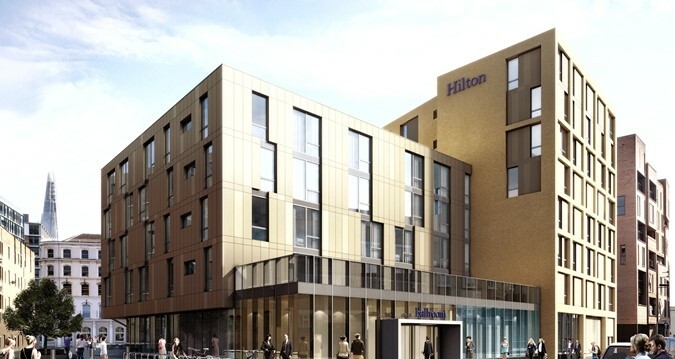 Hilton’s new London Bankside hotel opens October 12th – great location for the Tate Modern and Borough Market – and as a result has great Travel Agent availability. Normally Hilton availability is sketchy – or limited to Sundays only. The Bankside has great availability by comparison and is easily searched and booked, and on most days is 50% off (from £97 per room per night, but £125 is fairly typical). Eligibility: Valid for travel agents or airline employees. ID can be requested at check-in. In fact, it was requested for one of our stays. Ease Of Use: Straightforward if you click ‘flexible dates’ as availability at some hotels can be minimal.